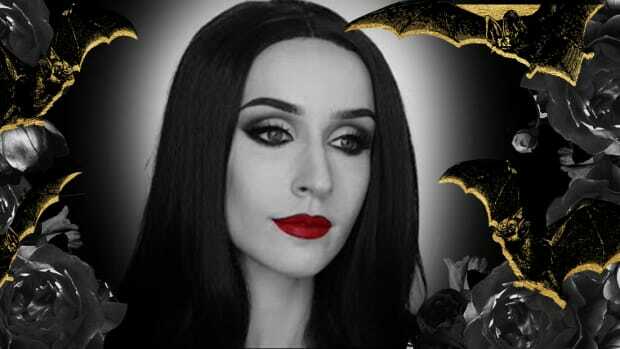 Halloween has arrived, and the mad scramble for a clever Halloween costume is on. 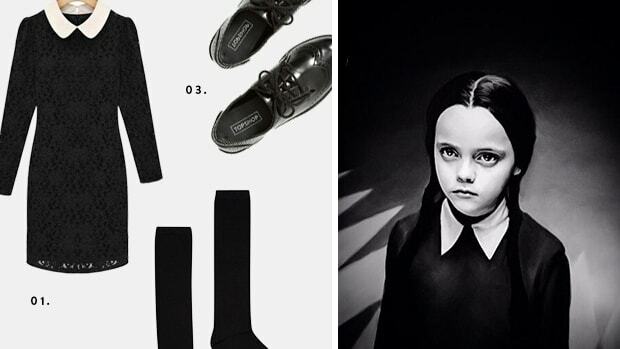 If you have a significant other to coordinate with, picking a costume can become even more complicated. 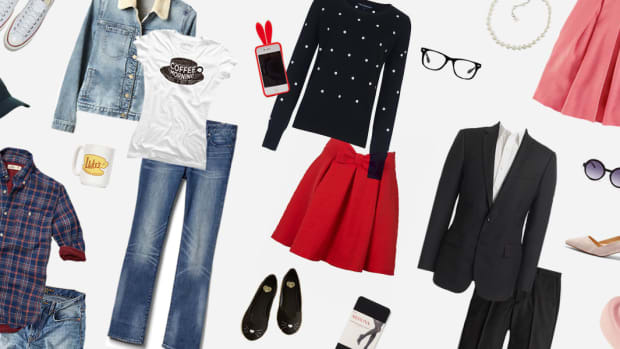 Have no fear—we’ve brainstormed some of our favorite movie-inspired, no-sew costumes for your last-minute Halloween shopping inspiration. 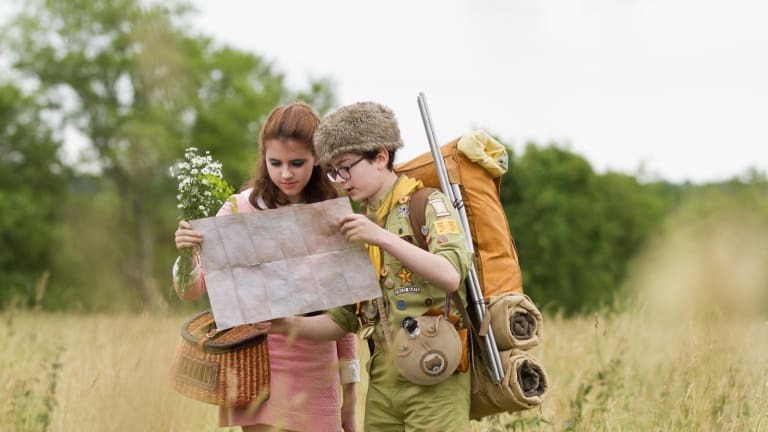 If you’re into classic films, this is the couples costume for you. 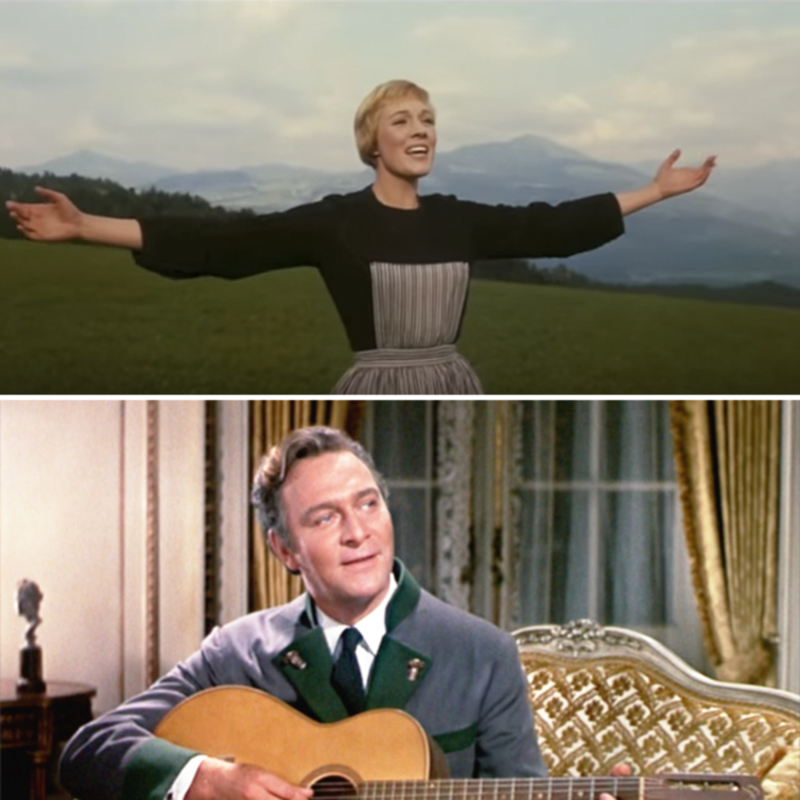 To recreate the iconic “the hills are alive” scene, pick a black fit-and-flare dress, and put a striped apron over it. Cut off the straps at the top of the apron, and pin it to the top of the black dress. For him, stop by the thrift store to search out an old Austrian military–inspired jacket, or check out Etsy for a wide variety of vintage outerwear. Feel free to sing all night long in this costume. 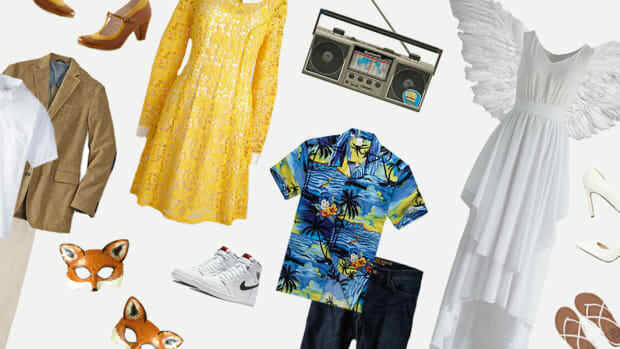 When it comes to dressing as a couple of lovable, awkward teens, chances are you have some usable garb already in your closet. You’ll need a striped T-shirt (big enough to stuff a pillow under so that you look pregnant), a short skirt to wear over baggy jeans, and an oversize hoodie or jacket. For his costume, stick to gold and maroon colors, preferably like Paulie’s gold track shorts and maroon varsity tee. Anything similar will work fine. Sweatbands around his head and wrists and some classic tube socks will make this outfit complete. 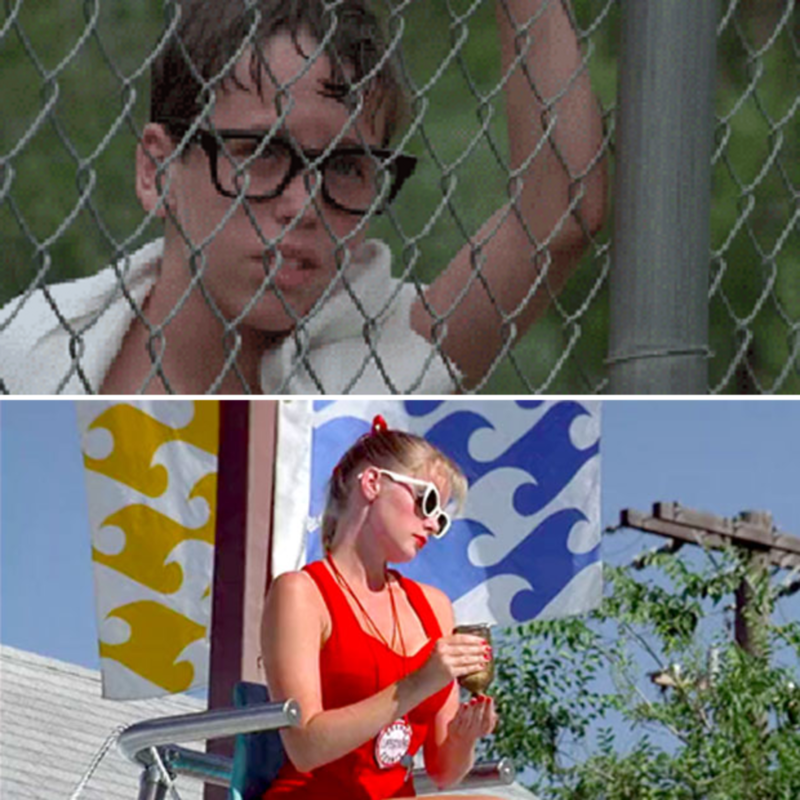 This look pulled from cult classic The Sandlot will have your friends laughing with nostalgia. But it may require digging into your summer wardrobe! For your costume, we suggest wearing a retro red tank top with red shorts (if it’s a chilly Halloween, invest in a pair of skin-colored figure skating tights.) Tie your hair up with a red ribbon, apply red lipstick, and don’t forget white-rimmed, cat-eye sunglasses. A whistle will top off the lifeguard costume and give your friends a better clue as to whom you’re dressed up as. 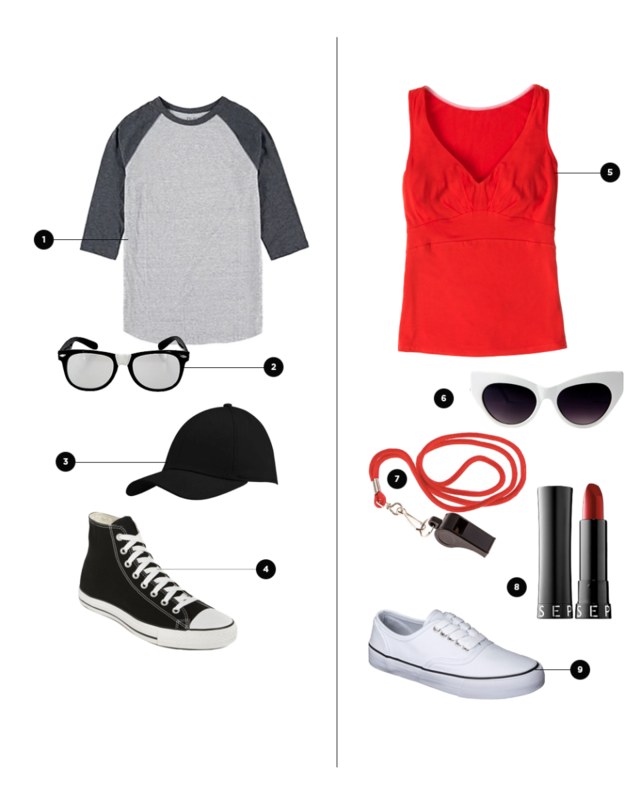 For him, a classic baseball T-shirt, a backward black baseball cap, and thick-rimmed black glasses will do the trick. 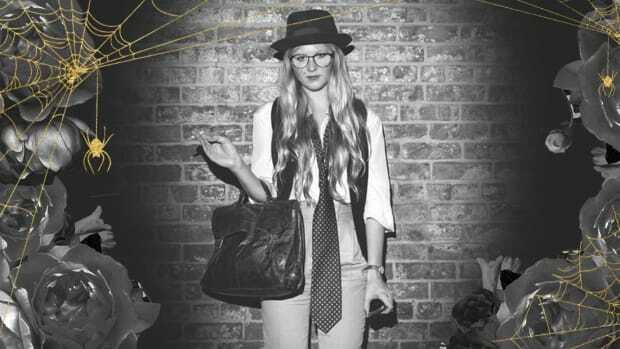 Without a doubt, your guy will totally be down for dressing up as the legendary Indiana Jones. 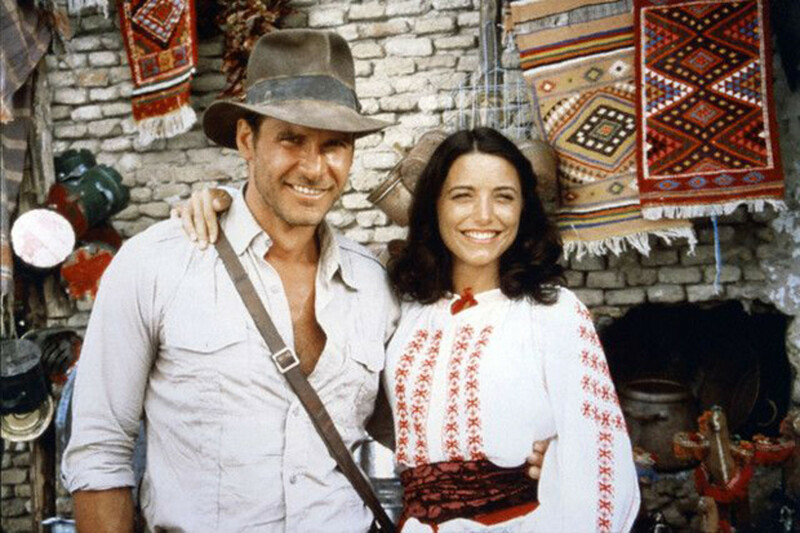 You’ll play the role of Indy’s true love, Marion Ravenwood. 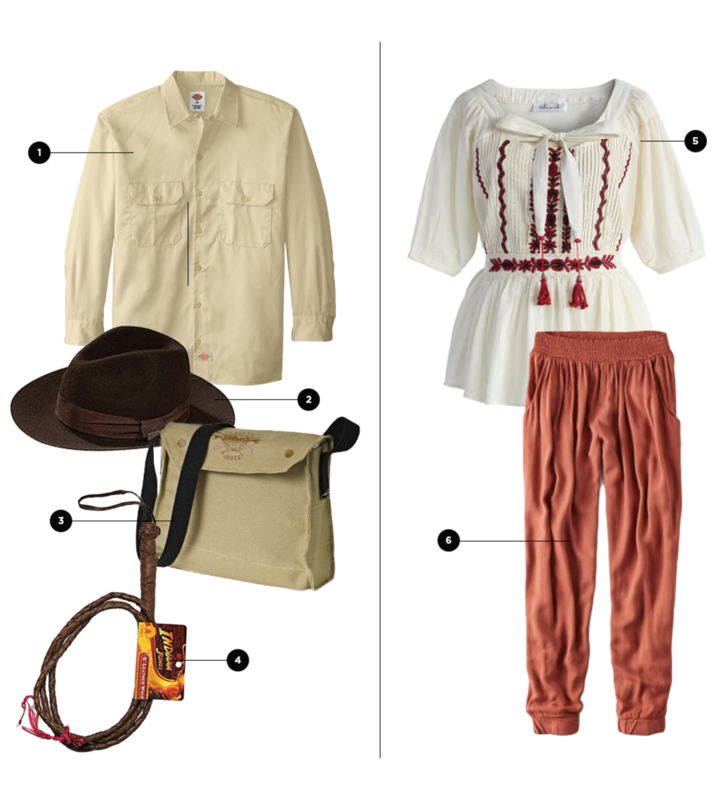 For this costume, think boho—red genie pants and an embroidered peasant blouse. Luckily for us, peasant blouses have been popular for the past couple years, and the chances of finding a similar blouse at the thrift store are high. For him, a tan workshirt rolled up to the elbows, a classic brown cowboy hat, a messenger bag, and a trusty whip will complete the outfit. 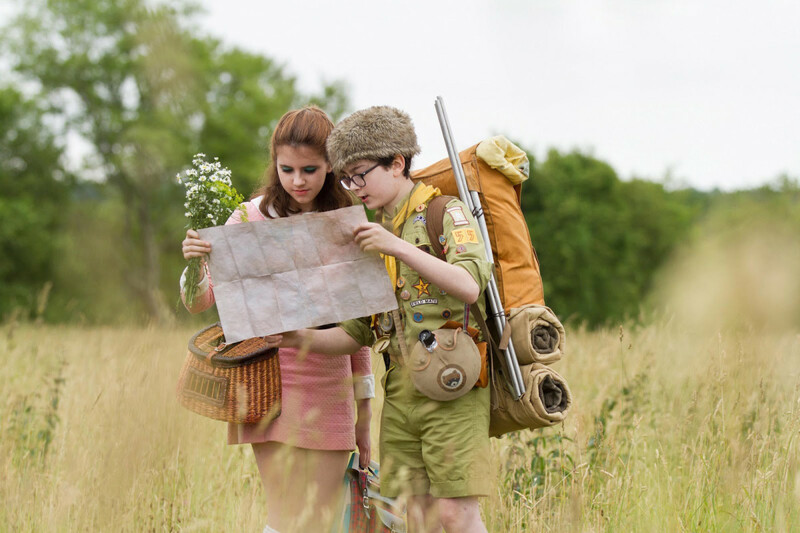 This adorable young couple from the hipster flick Moonrise Kingdom is great for those who want to be a little more niche with their costumes. 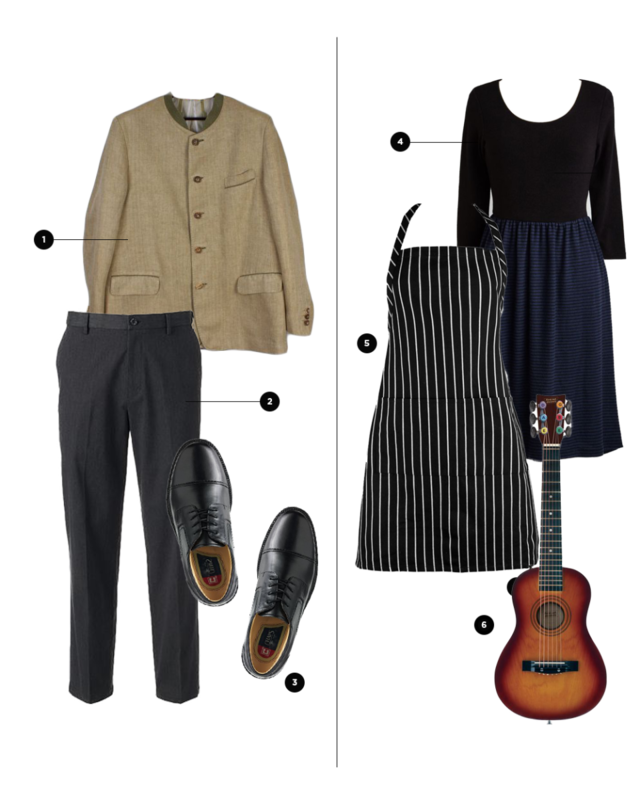 You might find yourself searching ModCloth for the perfect pair of saddle shoes or Peter Pan–collared dress when recreating this look. 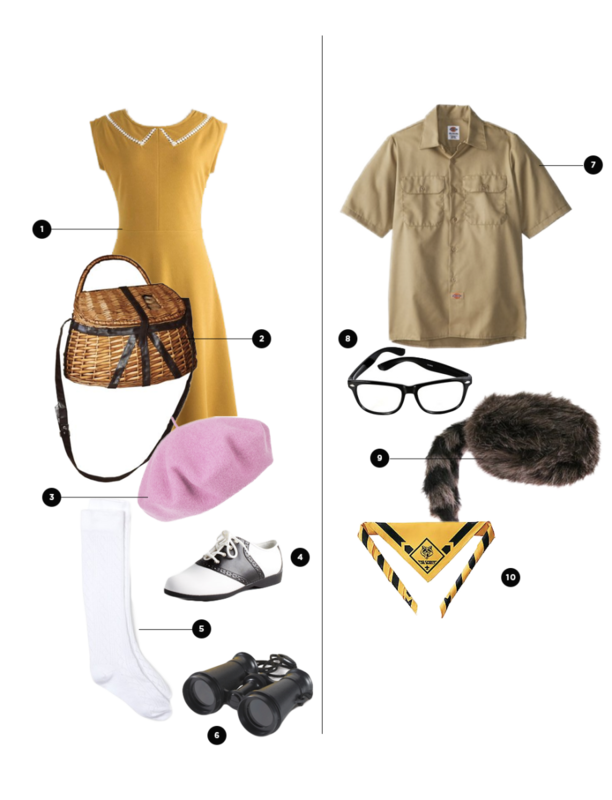 Remember your binoculars and picnic basket, and you&apos;ll be set for a night of compliments on your quirky costume. For him, pick up an old Boy Scouts uniform at the thrift store and a cheap Davy Crockett hat online. It’s hard to believe that it’s been eleven years since Napoleon Dynamite came out, but we haven’t forgotten about our favorite socially awkward couple, Napoleon and Deb. This costume is ideal for those who love to thrift-store shop. 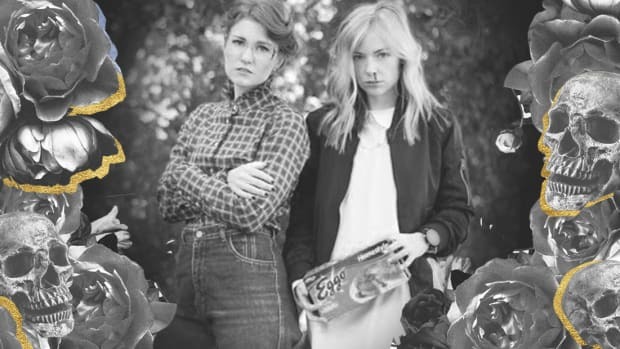 For your costume, look for a pink polo shirt, light-wash high-waisted jeans, and a fanny pack. 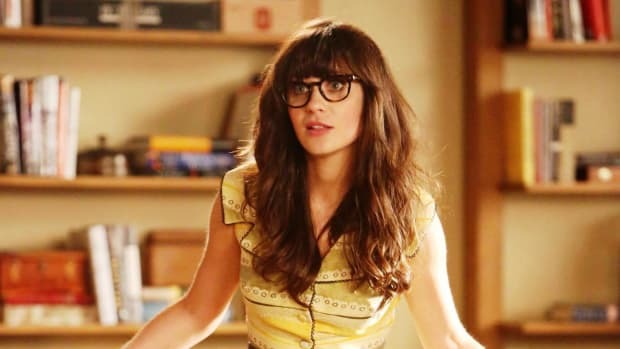 To complete the Deb look, tie your hair into a side ponytail. 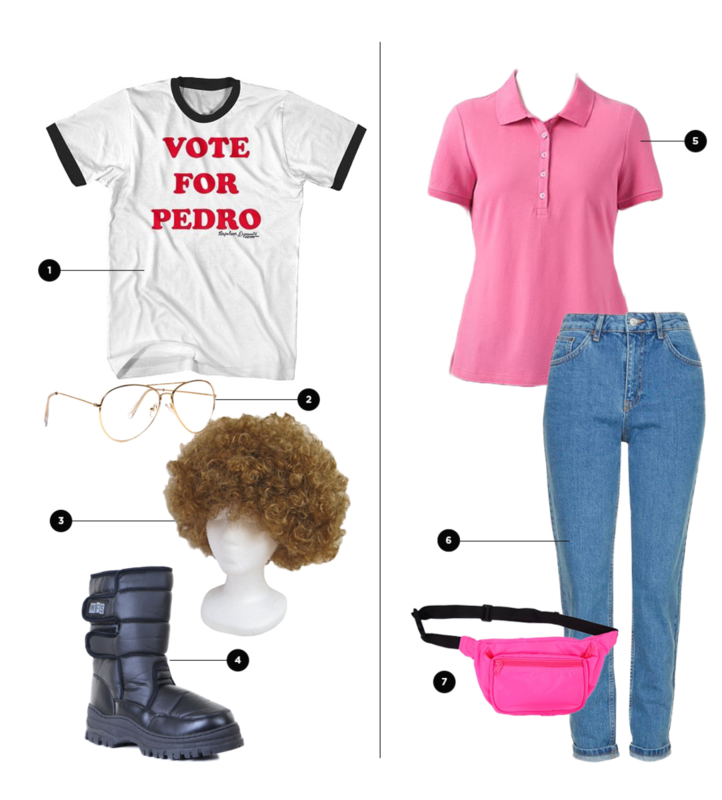 For him, the classic “Vote for Pedro” T-shirt, seventies-inspired prescription aviator glasses, black moon boots, and a curly wig will ensure that no one mistakes his identity. Carry around some candy in your pockets, like Napoleon did with tater tots, and you’ll definitely be everyone’s favorite costumed couple.